I’ve always been extremely curious about other people’s books and records. Mostly records. 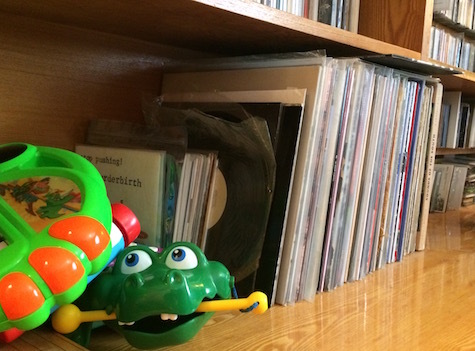 Each time I enter a new house, I often identify the spot where CDs, LPs or cassettes are stored, I forget the other people in the room and I keep staring at the shelves (or sometimes just stacks) of sometimes unknown names, sometimes bands I love, and sometimes just the usual mainstream bunch of compilations and hits. That’s why I’m asking people, often musicians, label owners, venue hosts, pressing companies, graphic designers, to show me their records through a picture or two, and then comment replying to a couple of questions to satisfy my curiosity. this performance will be part of murmer’s ongoing ‘echo surveys’ series. 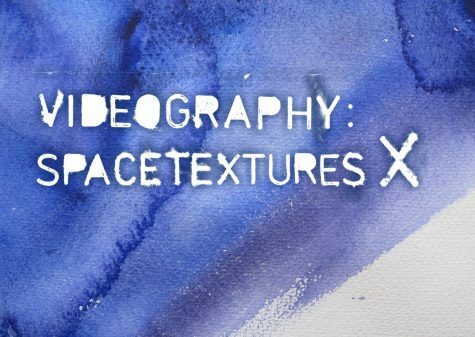 the premise is straightforward: each performance is entirely unique and site-specific; all sounds heard are either produced live from materials found in the space, or have been prerecorded there during a reconnaissance visit. this is an attempt to retain a specific and direct connection with each space and each audience, and to retain a sense of risk associated with each performance. from october 25 until september 3 i will be participating in the arts in the environment nordic symposium 2017, taking part in the artist camp on the island of vartiosaari and working towards the production of both a live echo survey performance, and subsequent installation focusing on one specific location on the island. the live performance will take place during the opening of the group exhibition on saturday, 2 september. the installation will be a part of this exhibition, running on the island until 8 october. 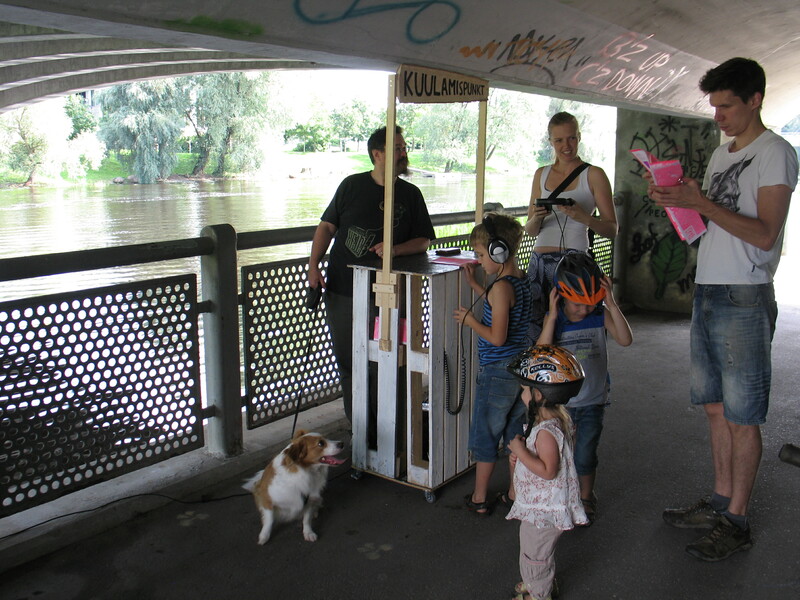 in 2012 i began a new series of performances which I call echo surveys. 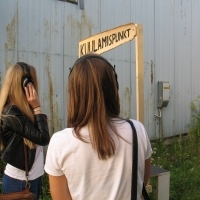 the premise is straightforward: each is entirely unique and site-specific; all sounds heard are either produced live from materials found in the space, or have been recorded there during a pre-performance reconnaissance visit. this is an attempt to retain a specific and direct connection with each space and each audience, and to retain a sense of risk associated with each performance. 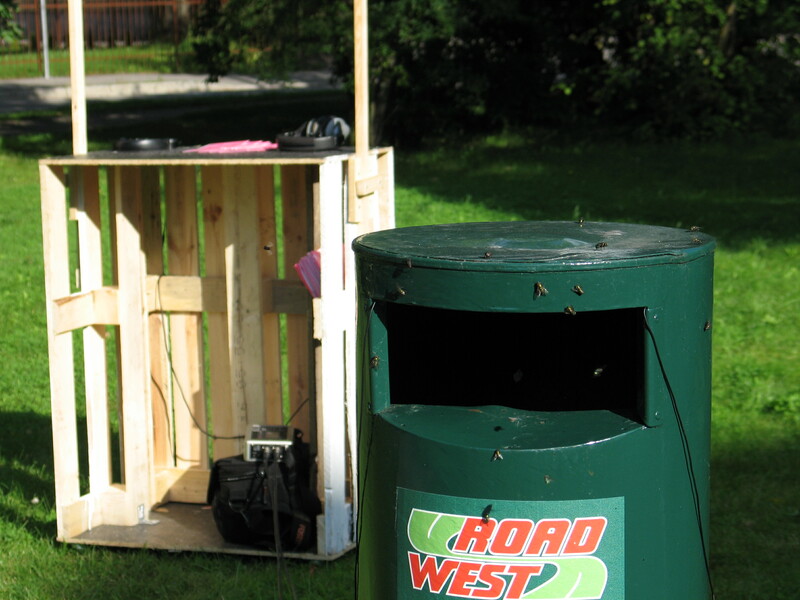 for arts in the environment the work with also include a site-specific installation, to be experienced in the location itself. 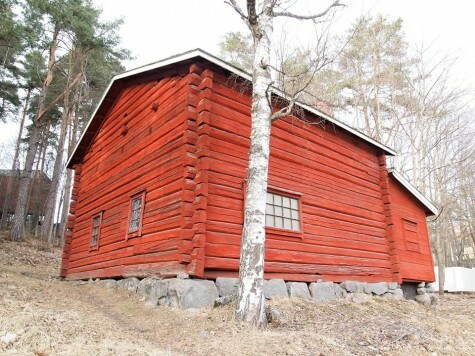 the exact form and location of the sonic exploration of vartiosaari will be finalised during the artist camp. Celebram Ziua de nastere a artei si in 2017! Patrick McGinley (aka murmer) este artistul invitat pentru aceasta editie. El va performa live, in Studioul 15 al Radioului public, de la ora 23:40, iar evenimentul va fi transmis live pe site-ul http://artsbirthday.ebu.ch/. Patrick McGinley locuieşte în Europa din 1996 şi opereaza in mediile sound, performance si radio. La baza creaţiei sale stă colecţia de sunete şi obiecte găsite, pe care a construit-o în ultimii 20 de ani. În 2002 a fondat framework, o asociaţie care produce o emisiune săptămânală de radio bazată pe înregistrări de teren primite de la colaboratori internaţionali. Pentru accesul in institutie avem nevoie de confirmarea prezenţei. Cei care nu vor apărea pe listă nu vor putea participa. Mulţumiiiiim de înţelegere! 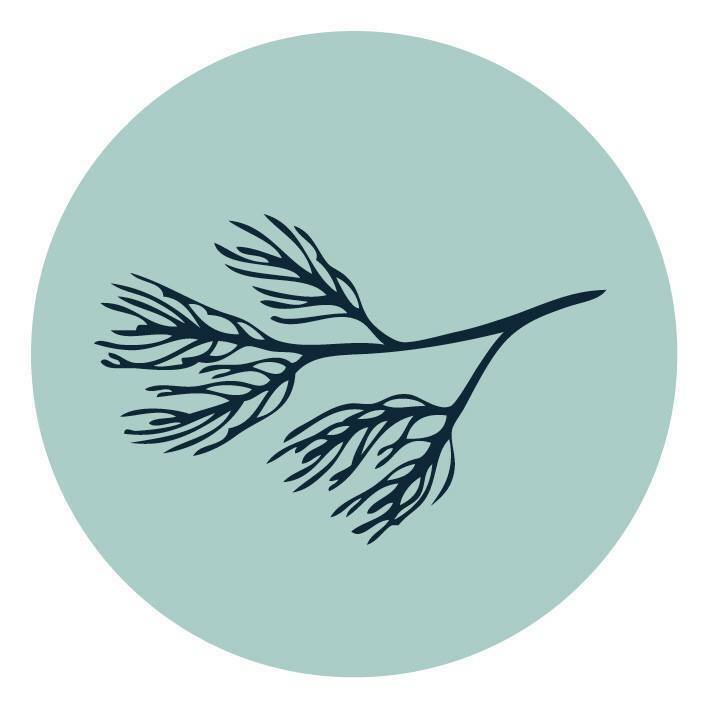 i am very pleased to announce the release of songs for forgetting, my first solo lp, and my first physical release since 2012, on the great gruenrekorder record label from germany. this is the outcome of a successful kickstarter campaign and an intense production period for the unique, hand-made packaging with my designer vahram muradyan. 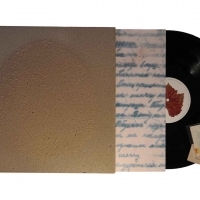 the record (mastered by helmut erler at dubplates and mastering in berlin) is pressed by handle with care (also in berlin) and housed in a silk-screened, embossed sleeve made from recycled fiber especially for us by the historic räpina papermill here in southeast estonia. 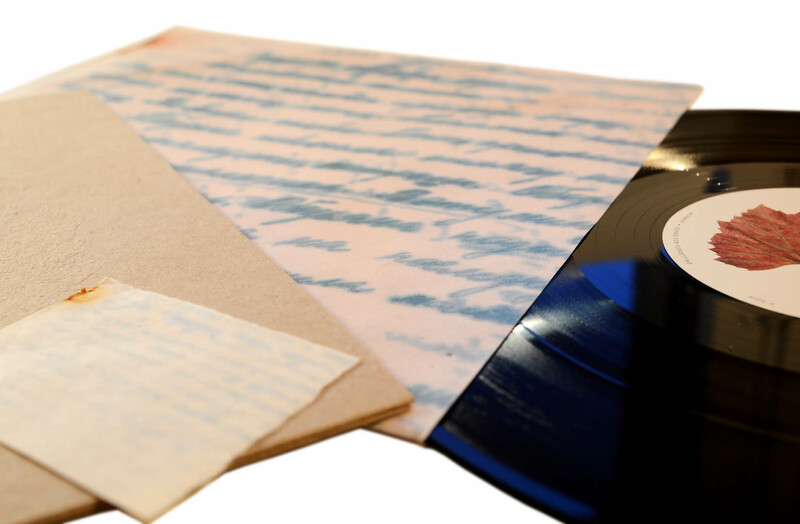 extensive liner notes, sound samples, and images can be found here on the release page. 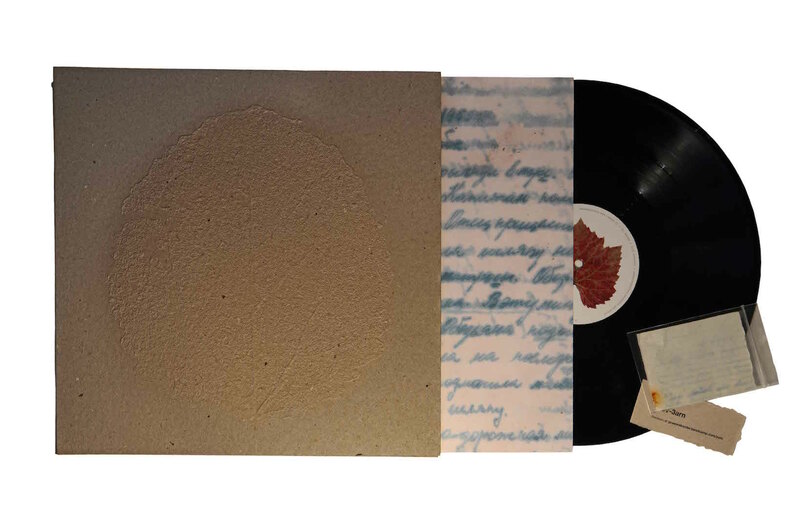 the lp is available from gruenrekorder or directly from me for 20€ plus shipping (i’m asking a straightforward 30€ postpaid worldwide – if you’re in estonia ask me about hand delivery to save the shipping cost). here you can also find a digital download available from the gruenrekorder online shop for 10€. THIS OUTDOOR EVENT IS FREE, HOWEVER, IN CASE OF RAIN IT WILL BE MOVED INDOORS TO THE MUSEUM’S BEAUTIFUL VALGE SAAL. IN THIS CASE A REDUCED PRICE MUSEUM TICKET (4€, 3€ STUDENTS) WILL BE REQUIRED. dp (aka dave phillips) re/searches and ponders existences and behaviourisms humanimalistically. sound as communication in direct and primal form, a language, a tool of metaphysics, a conscience and a consciousness. opposing the omnipresent restriction and reduction of life and living. 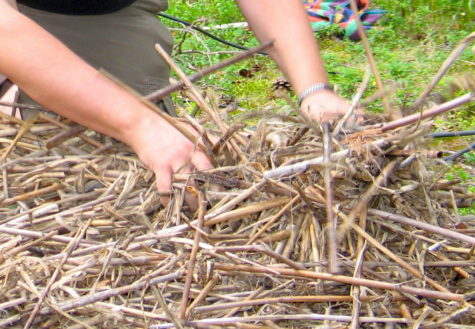 sound communications that activate primordial shared emotions otherwise hidden under the debris of civilisation. 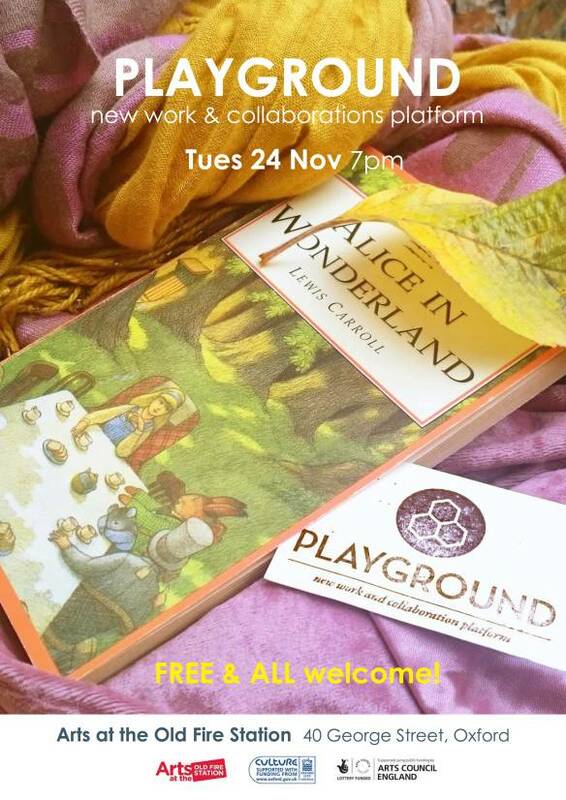 inviting rumination, encouraging intervention, endorsing catharsis. therapeutical stimulation is acknowledged. sonic activism, ritual protest music. dp is based in zürich, switzerland and has worked solo as dave phillips/dp since 1987. he is part of schimpfluch-gruppe since 1991 (with rudolf eb.er/runzelstirn & gurgelstøck, joke lanz/sudden infant etc. 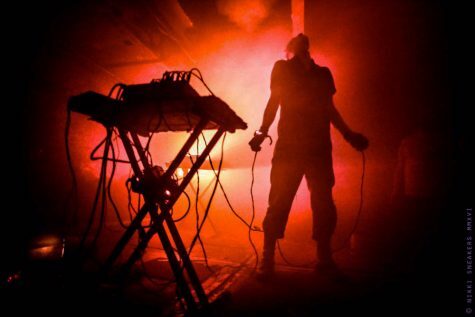 ), co-founded ohne in 2000 (with tom smith, daniel löwenbrück, reto mäder), started the one-man-doom-project dead peni since 2004, co-founded fear of god in 1987 and has played in numerous bands, projects and collaborations. dp has been sonically active for 30 years, has appeared on more than 200 releases and has played near to 500 concerts in 40 countries. 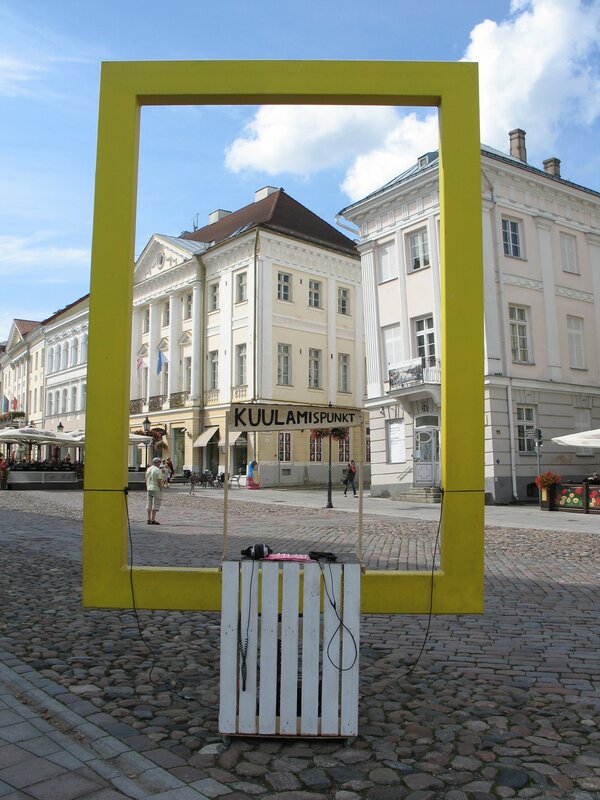 the VIDEO ACTION he will perform in tartu is an actionistic and physical performance accompanied by visuals. 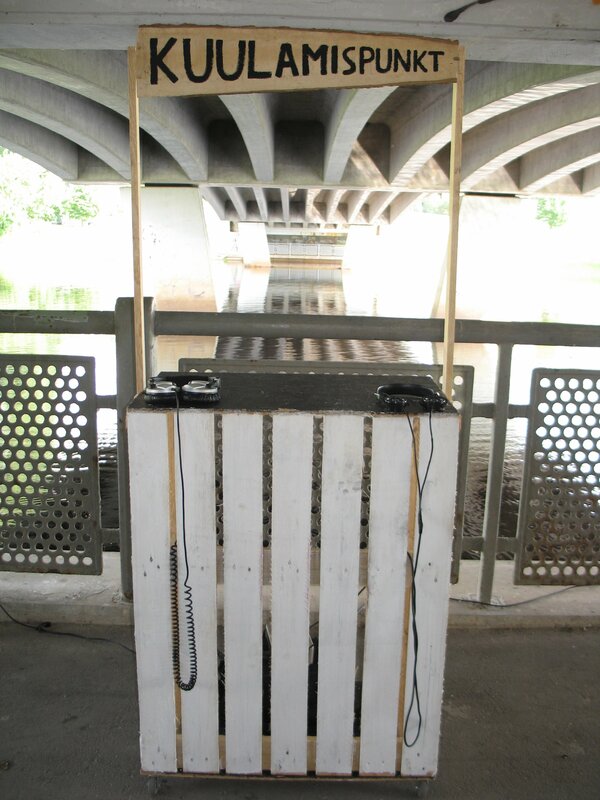 loops and samples of voice and objects are played live over prepared sonic structures and follow a compositional narrative. the visuals communicate personal and existential matters, questions, thoughts and criticisms, on personal, social and global levels. this set is an evocation of ‘humanimal’, a sonic ritual, a catharsis, an audio-visual exorcism or a type of neo-shamanist healing. VIEWER WARNING: SOME VIEWERS MAY FIND SOME OF THE VIDEO CONTENT IN THIS PERFORMANCE DISTURBING OR UPSETTING. WATCH AT YOUR OWN DISCRETION. tommi keränen is a noise maker from helsinki. active since the late 1990s, he performs and records as a solo artist, and is a member of testicle hazard, large unit, köttskogen, gentle evil and the truckfuckers. He primary uses primitive electronics and non-standard digital synthesis – the resulting music is rugged slabs of vivid swirling noise. his discography consists of over two dozen entries ranging from cryptic tapes to critically acclaimed releases like the bats in the attic cd (among the wire’s rewind picks in 2010). he has collaborated with many artists including florian hecker, the incapacitants, lasse marhaug and phill niblock. taavi tulev has produced and released several albums of music. he’s been making field recordings in nature for many years. besides that, his main work experience is in interior and architectural design and engineering. 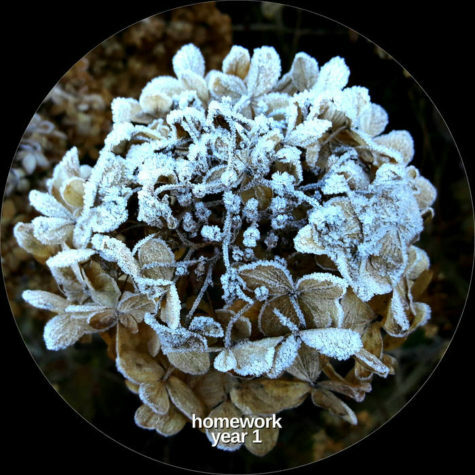 creating soundscapes is a symbiosis of those two different fields of work. 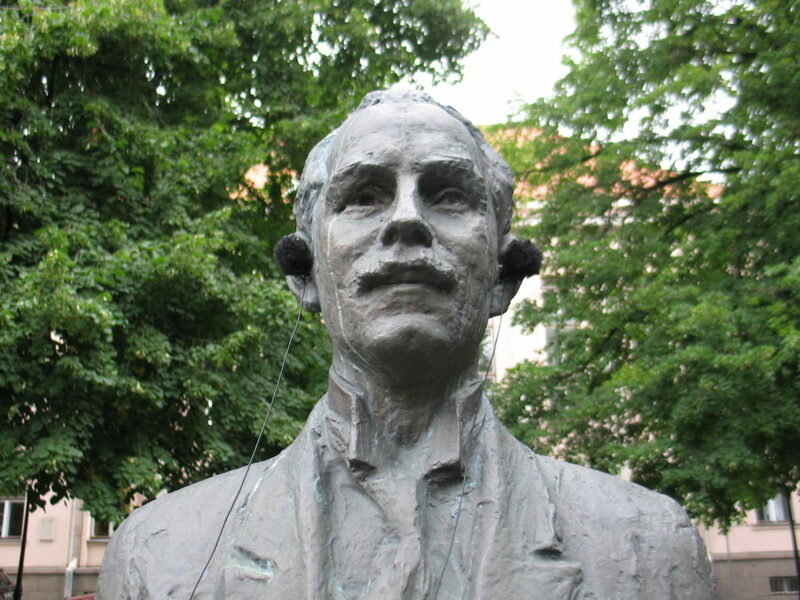 taavi’s ultimate goal is to make urban environments sound better. patrick mcginley (aka murmer) is an american-born sound, performance, and radio artist who has been based in europe since 1996. since then he has been building a collection of found sounds and found objects that has become the basis of all his work. 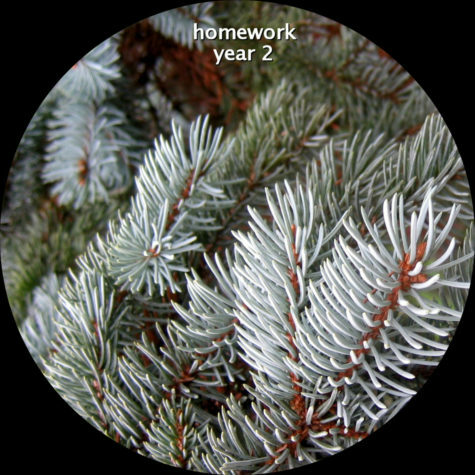 in 2002 he founded framework, an organisation that produces a weekly field-recording themed radio show, broad- and podcasting around the world. 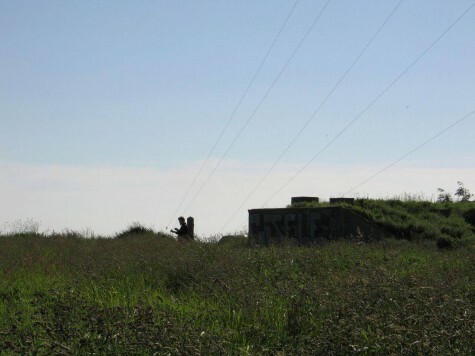 in 2005 he first visited southeast estonia, and relocated there permanently in 2009. most recently mcginley has been giving presentations, workshops, and performances based on the exploration of site-specific sound, and sound as definition of space. 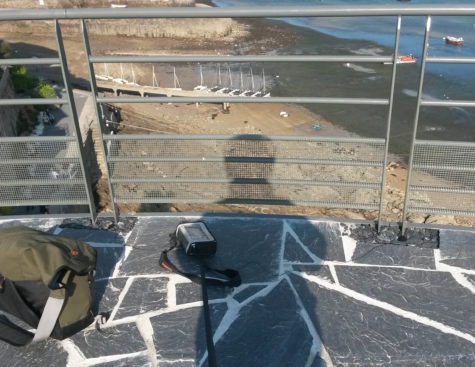 in live performance his interest in field recording has developed into an attempt to integrate and resonate found sounds, found objects, specific spaces, and moments in time, in order to create a direct and visceral link with an audience and location. 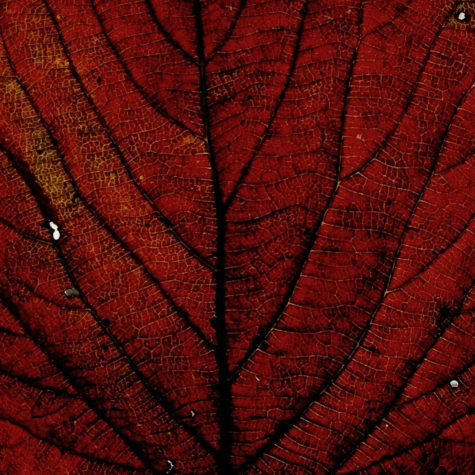 daniel allen produces work as an experimental photographer, and latterly an experimental filmmaker. 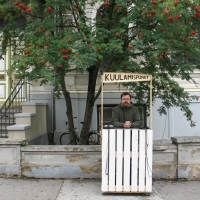 he focuses on the estonian landscape and on human interaction with it, and on estonia as a transition society. these themes are expressed through the shared boundary between abstract painting and abstract photography; through a filmic examination of abandoned soviet military buildings; through modern estonian architecture, and the country’s remaining unmodernised traditional industry. 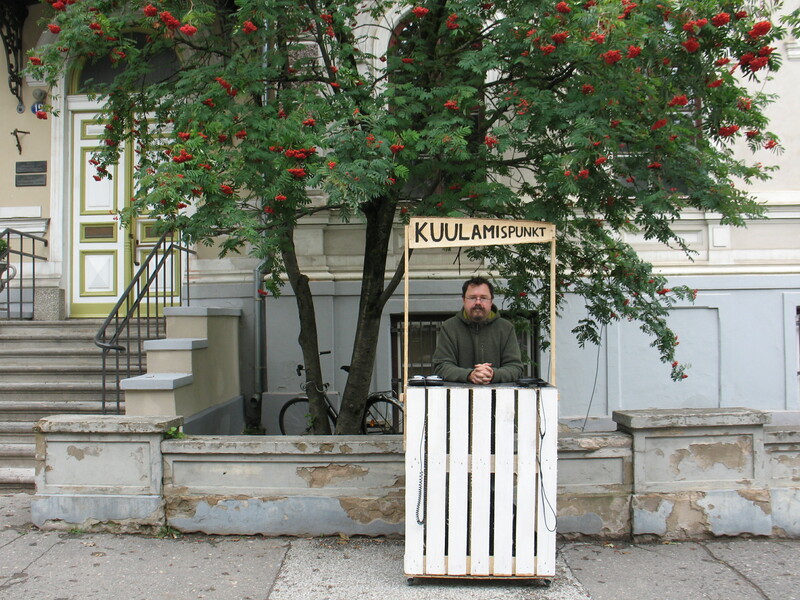 he is an analogue film fan and is active in trying to bring experimental film to a wider audience through the experimental film evening, held regularly in tartu. 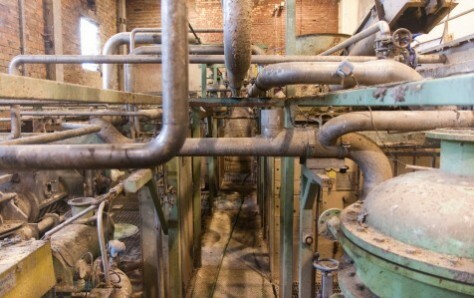 in 2015 mcginley and allen collected the material for their experimental documentary film about the old papermill in räpina. the material is being used in many different contexts: for the film itself, but also in exhibition, installation, and performance. for this event mcginley will improvise a live mix of field recordings from the mill, while allen will improvise a live mix of the video footage; sound and image react, coincide and conflict in an abstracted anti-representation of space. 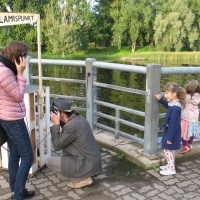 throughout the tartu city festival UIT, my social sound installation kuulamispunkt (listening point) will appear around the city, sometimes near other events, sometimes on its own, presenting hidden and not-so-hidden sounds of tartu to passersby in the form of an information booth. Patrick McGinley on Ameerikas sündinud, ent Eestis resideeruv heli-, performance-, ja raadiokunstnik. Tema looming (nime all murmer) põhineb väikestel avastustel ja tähelepanu suunamisel, keskendudes leitud helidele, heli välisalvestistele ning leitud objektidele. Aastal 2002 rajas ta Framework Radio, mis esitleb iganädalast helivälitööde teemalist programmi. McGinley korraldab ka Eesti Rahva Muuseumis toimuvat töötubade sarja “Helikoosolek”. 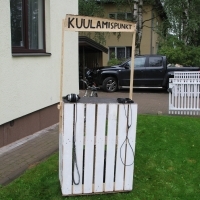 Välisalvestaja (field recordist) on keegi, keda kohtab avalikus ruumis linlase perspektiivist nähtuna pigem kummaliste asjade heli lindistamas. McGinley sõnul tulevad möödujad üsna tihti küsima, et mida lindistaja parasjagu teeb. Patrick McGinley soovib seekord seda küsimust ennetada ja pakub möödujatele võimalust ise kuulatada. 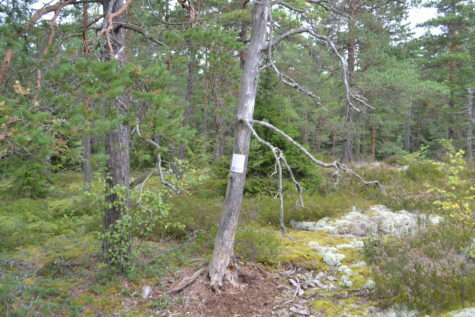 Nelja päeva jooksul ootab Patrick McGinley heliinstallatsioon “Kuulamispunkt” kuulajaid Tartu eri paigus, et jagada nendega linna lähedalt kuulamise kogemust. 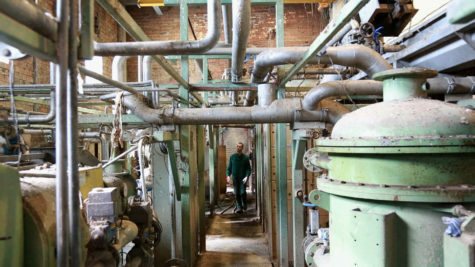 as part of the blurred edges festival, i will be performing a live mix of found sounds and field recordings from the oldest continuously-operating industry in estonia, räpina paberivabrik (the räpina papermill), accompanied by video footage shot in the mill by british photographer and filmmaker daniel allen. 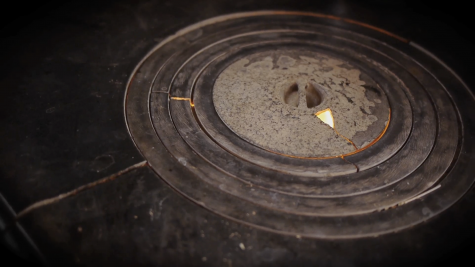 this sound and video is the source material for our upcoming experimental documentary about the mill. Pixelache visits Jyväskylä and its’ Yläkaupungin Yö -festival 21. of May. The program of the visit reaches also to the neighbouring municipality, Petäjävesi. 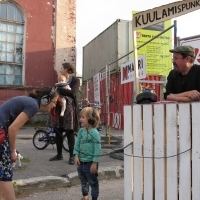 The program is based on the Pixelache Festival 2015 – Living Spaces, organised in Helsinki in autumn 2015. The festival explored the thematics of cultural decentralisation. 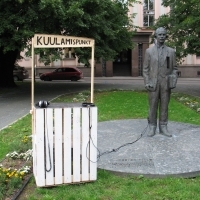 From Pixelache 2015 – Living Spaces program, sound artist murmer (Estonia/US) will bring his ‘Echo Surveys’ sound art performance to Jyväskylä in Taavettila riihi (the oldest wooden building in Jyväskylä, Seminaarinkatu 15, Jyväskylä) at 17-18. 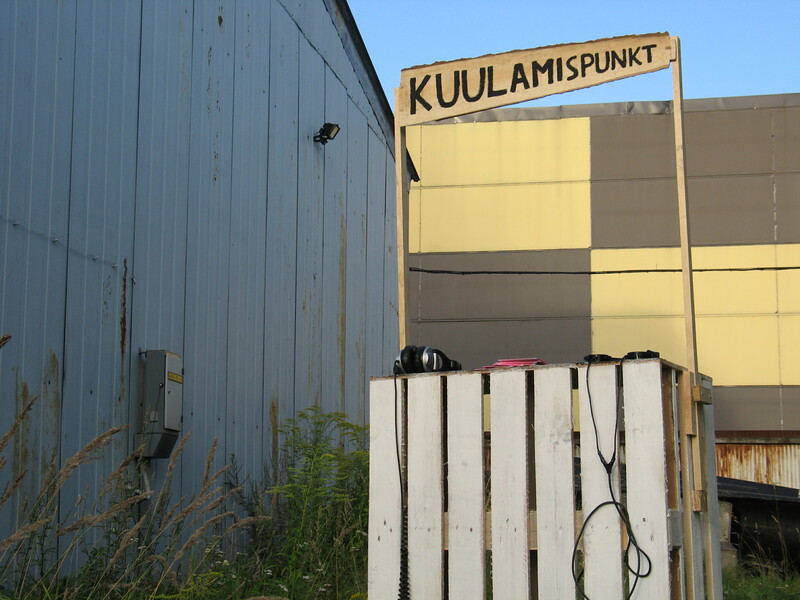 All the sounds in the performance will be produced by the materials found in the Taavettila riihi or are pre-recorded in the same space. 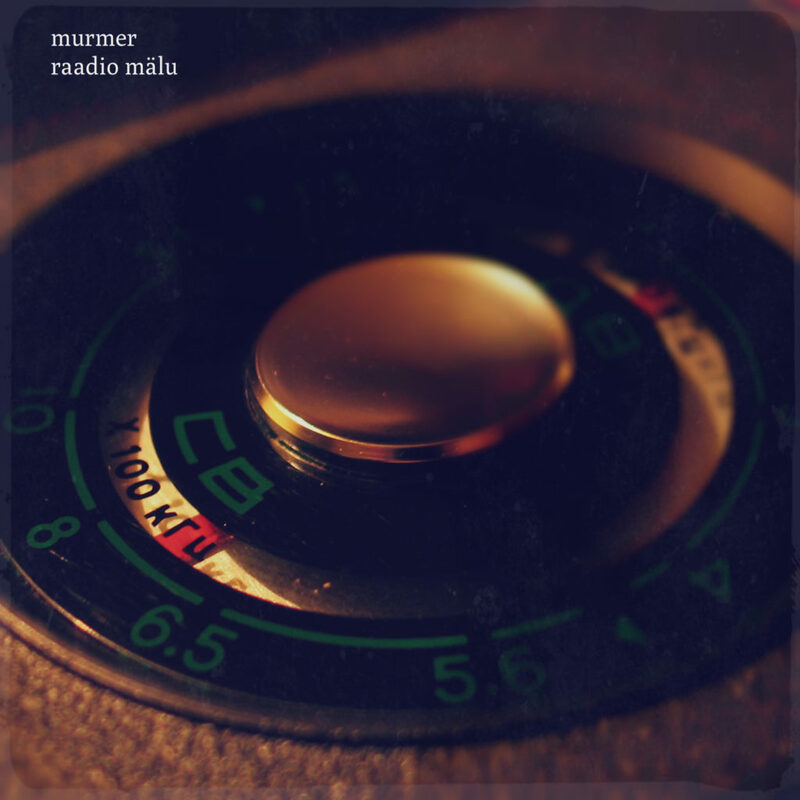 Murmer wants to create an unique and straight-forward connection to the space and the audience as well as maintain an aspect of risk or surprise in his performances. 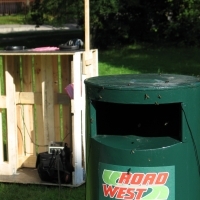 ‘Echo Surveys’ can be experienced as a performance or as a pop-in-out sound installation. Visual artists Johanna Juvonen and Biagio Rosa lead (S)low communication -workshop in Toinila (Koulutie 8, Petäjävesi), Petäjävesi at 12 – 15. Communication and distortion of messages are explored in this open-to-all low tech art workshop. 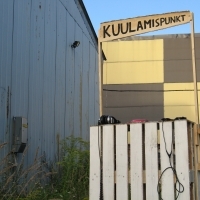 The workshop will include building slow communication tools and network from recycled materials for the Toinila art path. 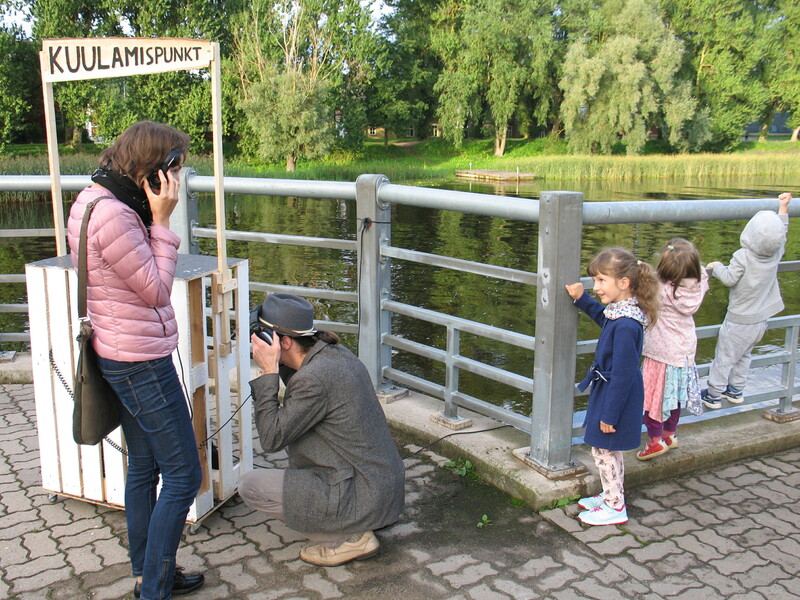 Patrick McGinley (murmer) and Johanna Juvonen & Biagio Rosa talk about their work in ti-la 2016 -gallery (Kauppakatu 19, Jyväskylä) the same night at 19-21. 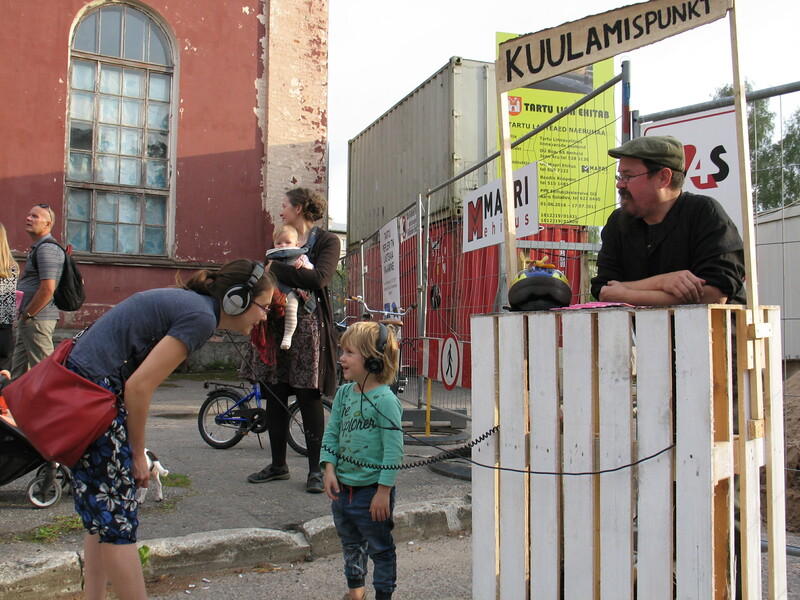 Pixelache 2015 – Living Spaces Festival co-director John W. Fail will talk about the festival. 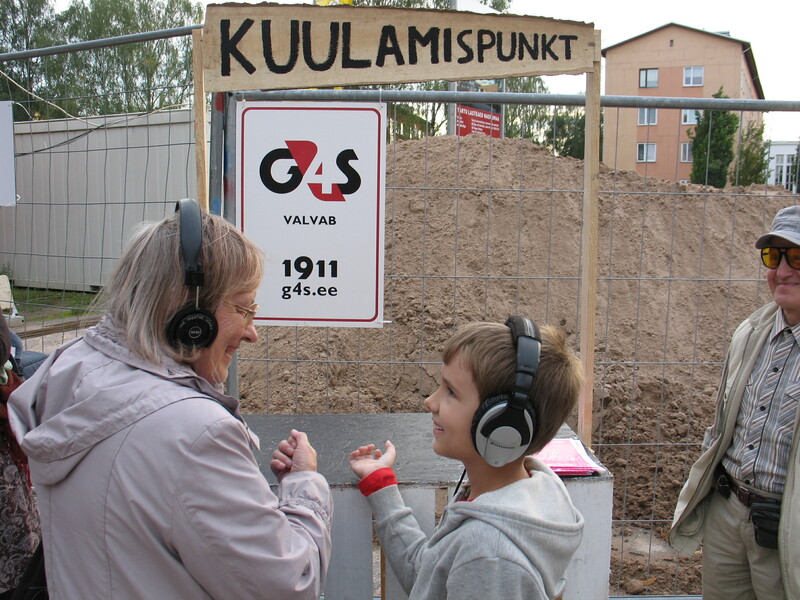 The co-directors of the 2016 Pixelache Festival Interfaces for Empathy -festival Mari Keski-Korsu and Petri Ruikka will talk about Pixelache theme for this year. 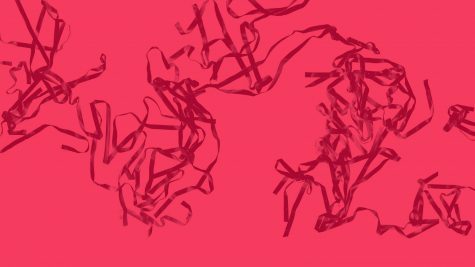 Pixelache 2016 – Interfaces for Empathy festival will bring program to Jyväskylä in November 2016. 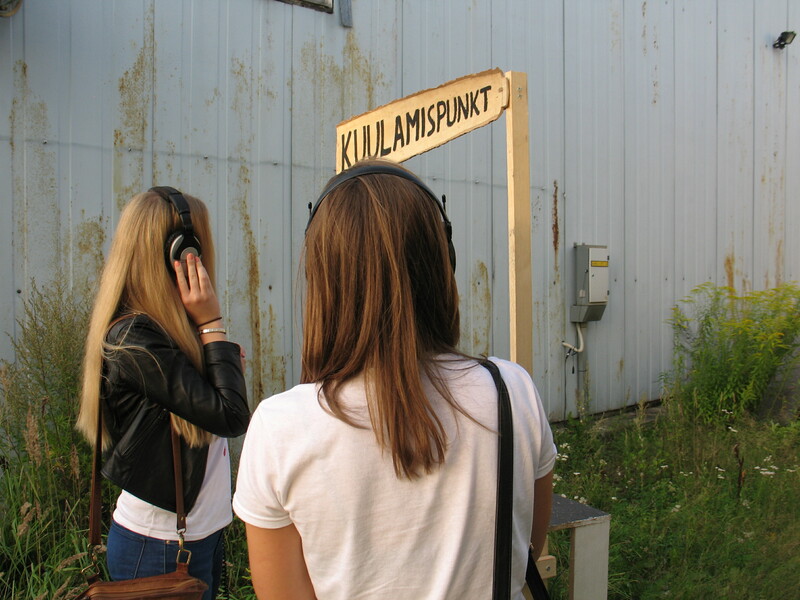 The sound performance, workshop and other program is realised in collaboration with Live Herring Ry, Yläkaupungin Yö, Petäjävesi municipality and ti-la 2016 -gallery. Live Herring Ry. produces (S)low communication workshop in the context of ‘Placing Media Art on the Map’ -project. At 12-15 Johanna Juvonen and Biagio Rosa: (S)low communication workshop in Toinila, Petäjävesi (Koulutie 8, Petäjävesi). The workshop is free of charge and suitable also for kids. 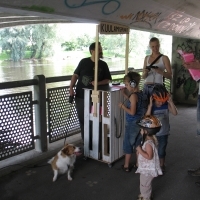 Children under 7 years can take part together with their parents. The workshop has max 20 participants. Register to participate by sending email to info@iveherring.or or calling 050-305 3540 before 12.5. 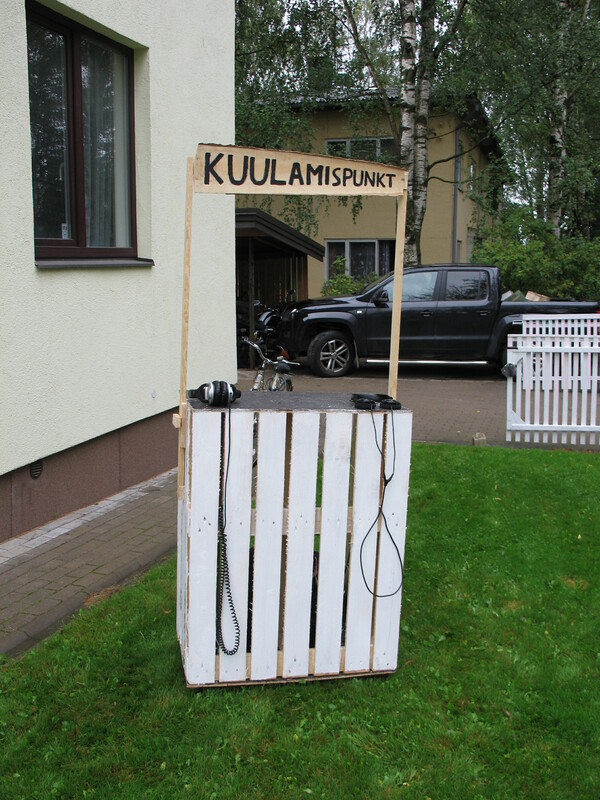 There’s an effort to organise shared rides to the workshop from Jyväskylä. 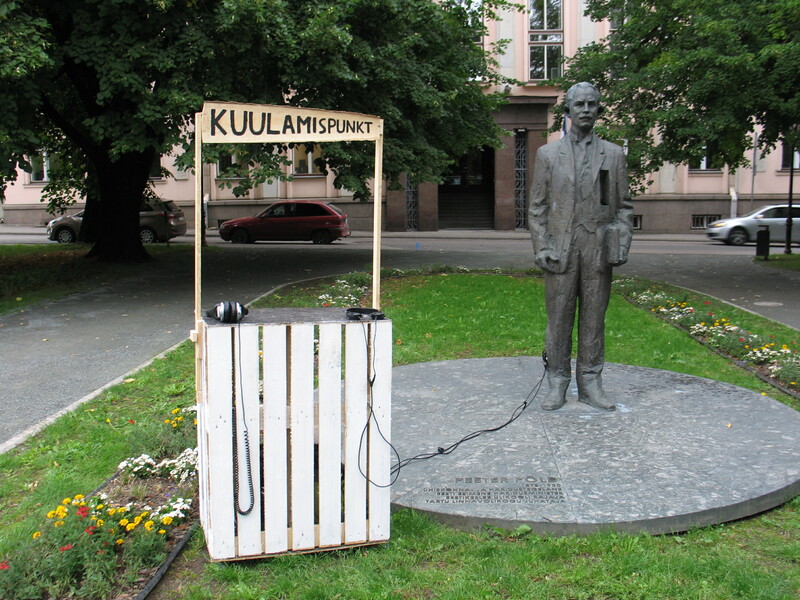 At 17-18 Sound artist murmer’s (Estonia/US) Echo Surveys sound performance in Taavettilan riihi (Seminaarinkatu 15, Jyväskylä). Murmer from festival 2015 program will perform also in Rovaniemi 7. of May. The visit to Rovaniemi is organised in collaboration with Magneetti Ry. 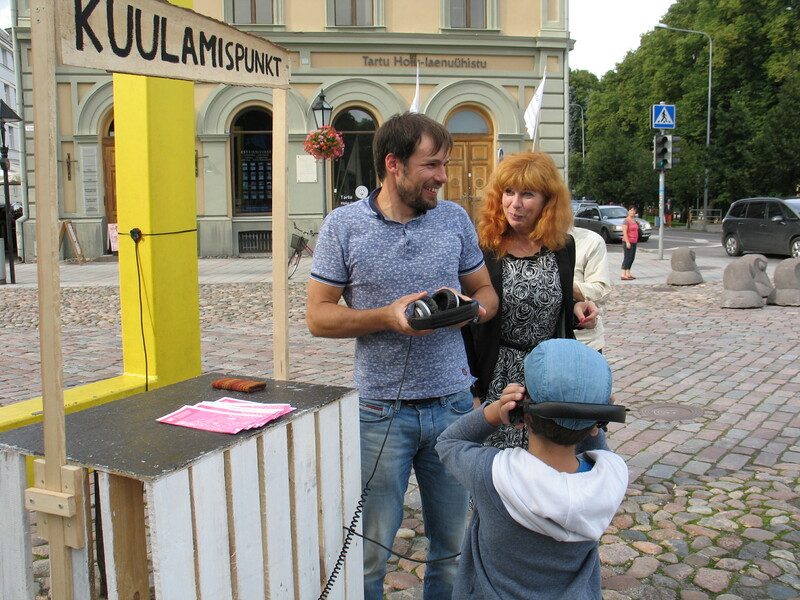 The collaboration in between Pixelache, Live Heriring and Magneetti will continue in autumn 2016 when program of Pixelache 2016 – Interfaces for Empathy will tour both Jyväskylä and Rovaniemi. 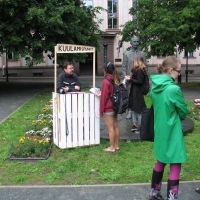 The events are supported by Finnish Cultural Foundation. 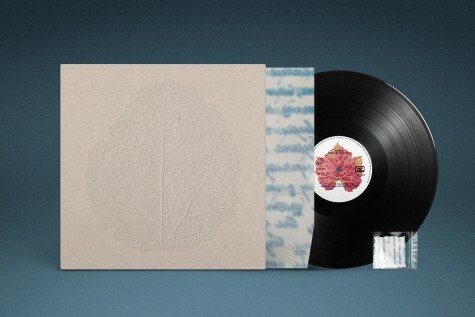 i am very excited to announce the one of my favorite record labels, gruenrekorder in germany, has launched a kickstarter campaign to raise the funds to release my first full-length solo release since 2012, songs for forgetting. i know i can count on the support of listeners, friends and family to help make this happen. please help spread the word! 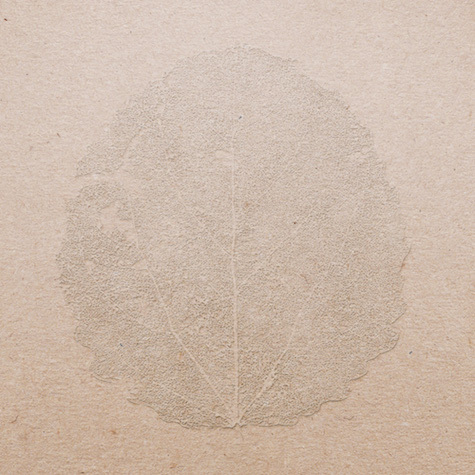 Gruenrekorder proudly presents songs for forgetting by Patrick McGinley AKA murmer. To make this project come true we need your support on Kickstarter. Since 2007, Patrick McGinley, AKA murmer, has been working on what will become his first full-length solo release since 2012: songs for forgetting. In 2016 Gruenrekorder will release these 45min of great field recordings from Germany, France, Spain and Estonia as a vinyl LP. The ca. 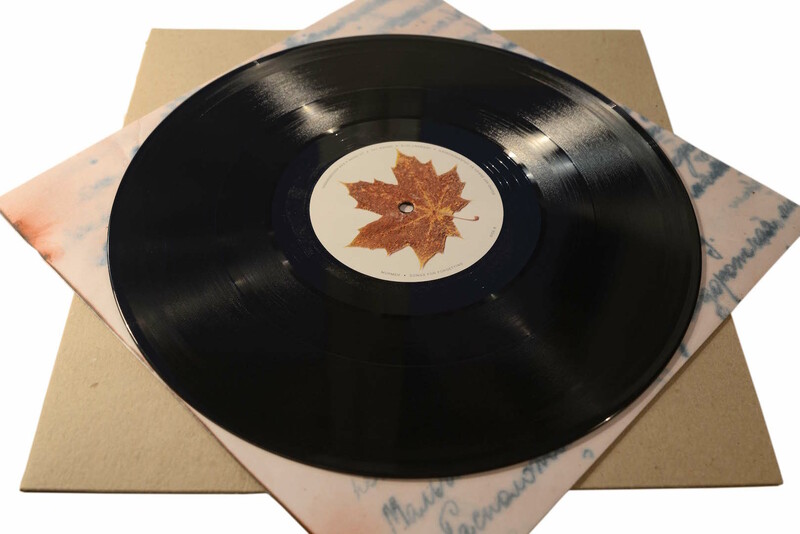 45 minutes of recordings are going to be released on a 180g heavy vinyl. 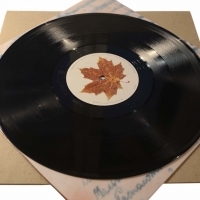 Delivered with a unique sleeve, produced by friends and supporters of the artist Patrick McGinley, the whole project supporting a creative community in Estonia, where Patrick lives with his family. The outer sleeve, designed by the Armenian illustrator Vahram Muradyan, will be produced from 100% locally-sourced recycled card from the oldest continuously-operating industry in the country, the Räpina Papermill, and will be printed, locally as well, on the historical machines at studio.tartuensis. For more information about this great project please visit our Kickstarter page! We need your support to make this project happen! We are aiming to create an artwork as visually worthwhile as the audio it contains. 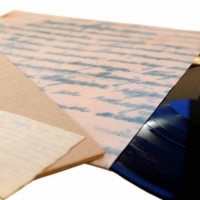 This involves paper, vinyl, printing, love and time. For it to be worthwhile, we need to know there is an audience for a physical release in these days of digital, online media. By backing this project you help to bring it into the world. Without your support and appreciation, it just can’t happen. Visit Kickstarter and support this really great project, so we can make an object that looks and feels as good as it sounds. 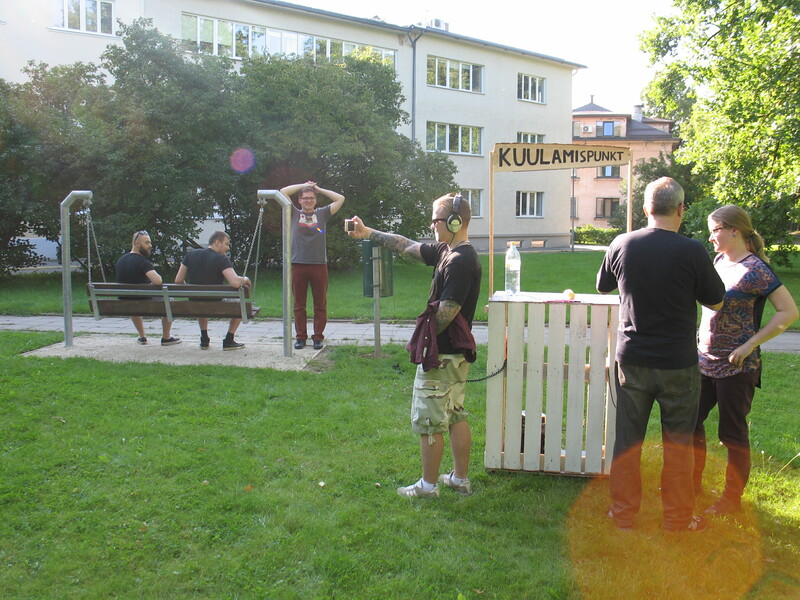 As a part of Pixelache 2015 Living Spaces festival touring program, sound artist murmer (Estonia/US) perform in Rovaniemi on the 7th of May. Murmer will bring his ‘Echo Surveys’ sound art performance to Culture House Valsa, soon to be torn down house in the centre of the town. All the sounds in the performance will be produced by the materials found in the Valsa house or pre-recorded in the same space. Murmer creates a unique and straight-forward connection to the space and the audience while maintaining an aspect of risk or surprise in his performances. 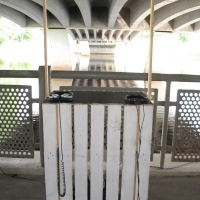 ‘Echo Surveys’ can be experienced as a performance or as a pop-in-out sound installation. 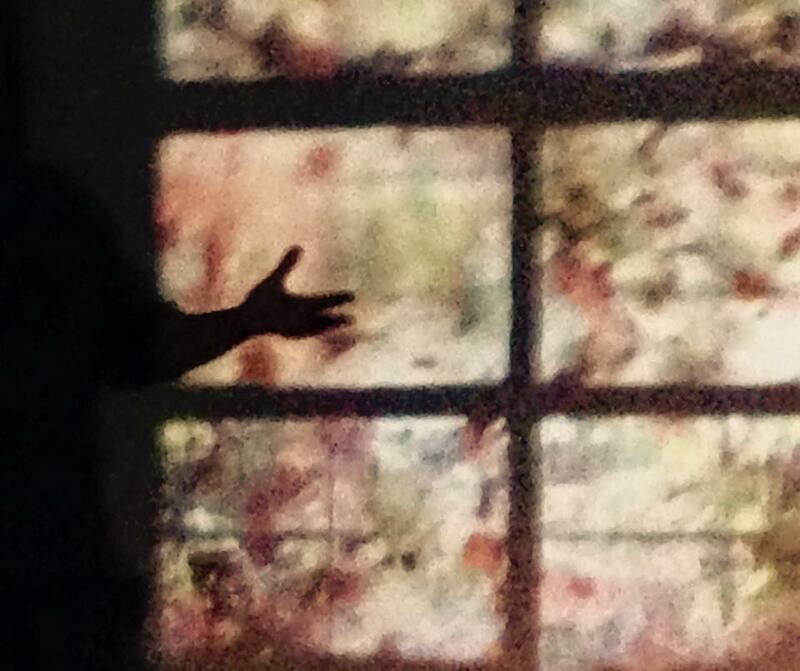 Patrick McGinley (murmer) talks about his work in Napa -gallery the same day at 14 – 16. 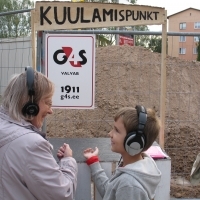 Pixelache 2015 – Living Spaces co-director John Fail will tell about the 2015 festival, as well as the co-directors for year 2016 Interfaces for Empathy -festival, Mari Keski-Korsu and Petri Ruikka, will talk about the theme for this year’s festival. 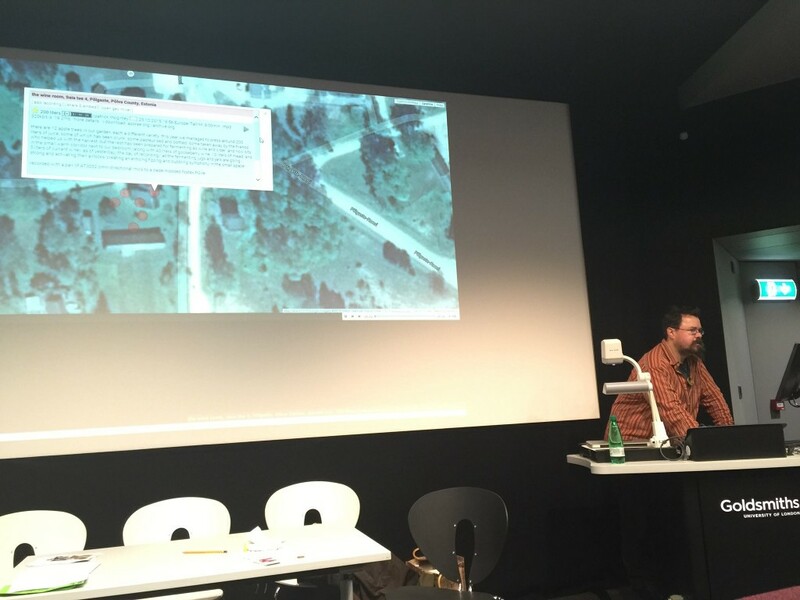 Pixelache 2016 – Interfaces for Empathy festival will bring program to Rovaniemi again in November 2016. The program is produced in collaboration with Pixelache, Northern Media Culture Association Magneetti ry, Napa-gallery and Culture Association Valsa. Murmer from festival 2015 program will perform also in Jyväskylä 21. of May. The visit to Jyväskylä is organised in collaboration with Live Herring Ry. 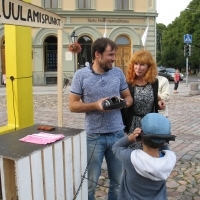 The collaboration between Pixelache, Live Herring and Magneetti will continue in autumn 2016 when program of Pixelache 2016 – Interfaces for Empathy will tour both Jyväskylä and Rovaniemi. 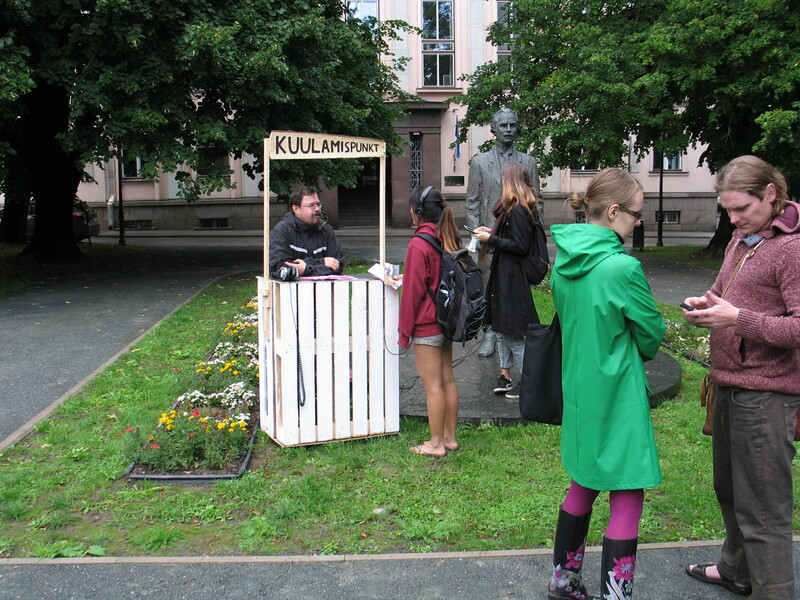 The events are supported by Finnish Cultural Foundation. 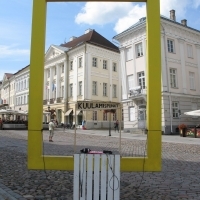 Northern Media Culture Association Magneetti ry is an organisation which gives exposure to northern artists and connects them to the international art world. Our foundations lie in internationalism and professionalism. Magneetti was set up in 2005 by Jetta Huttunen, Minna Rainio and Mark Roberts. 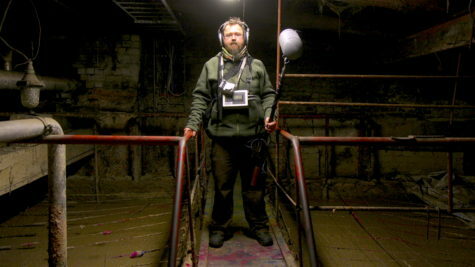 Patrick will be presenting, in the context of his approach to field recording and environmental sound at large, sounds and images from the Räpina Papermill, the oldest continuously-operating industry in Estonia, where he had been recording and filming extensively over the past few years for various projects, in particular the upcoming documentary film ‘The Mill’ with collaborator Daniel Allen. McGinley presents his experiments in small-scale sonic exploration. We will examine and discuss perspective, perception, attention and focus through sonic surveys of small or unexpected spaces, as in his ongoing projects ‘One Square Meter’ and ‘Hidden Sounds’.